Last week Mrs Heffernan and Mrs Sherwood took our Primary form, the youngest in the school, on an outing to see Lifeboat by Nicola McCartney at the Civic Theatre, Tallaght. 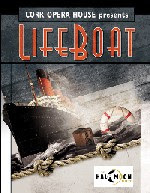 FH writes : "This is a true story based on two survivors of a ship that was taking almost 100 evacuees from British cities during World War II to Canada from Liverpool docks. Unfortunately it was torpedoed by a U-Boat in the Atlantic and there were very few survivors." 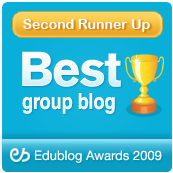 Click here for reviews by three Primary pupils - Sam Harley, Kezia Wright and Cormac Ryan. This was a Janus Theatre Company production, currently on a national tour. There is a podcast of a panel discussion on the 'Emergency' and Lifeboat on the Cork Opera House website.